Crippled both physically and emotionally by his war injuries, First Lt. Gilbert Ballard struggles to find himself again in civilian life. 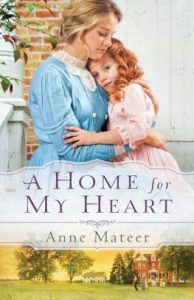 After breaking his engagement to Annemarie Kendall, he has found solace in the arms of Mary McClarney, a spunky Irish immigrant nurse he met at the Army and Navy Hospital in Hot Springs, Arkansas. Yet Mary’s love for Gilbert goes unreturned. If it’s not Gilbert’s insane jealousy over his former fiancée’s new marriage, it’s his addiction to pain killers and gambling that thwarts Gil’s own happiness. Worse, Gilbert’s mother, Evelyn, continually reminds him of what he lost when he pushed Annemarie away. Under Evelyn’s critical eye, Mary fights to believe in her worth, wondering if she will ever be enough. 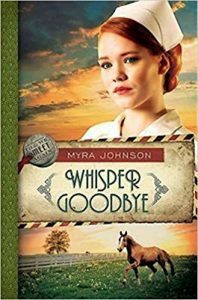 As Mary longs for the day when Gilbert will finally let go of the past and learn to love her as she loves him, she realizes that the only way to open Gilbert’s heart is to whisper her goodbyes . . . and pray God will bring them back together. 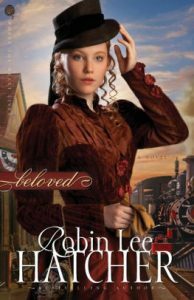 ANNIE ROLLINS LONGS FOR ADVENTURE But her strict mother keeps her close to home, working as a Harvey Girl waitress. 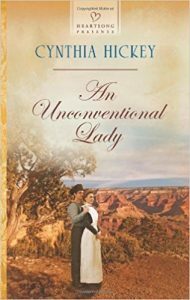 Until Dallas Baker shows up in town and takes the job Annie really wants—leading tours through the Grand Canyon. 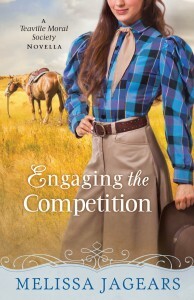 Annie’s frustrated, but finds it impossible to ignore the handsome outdoorsman. With her split skirts and modern hairdo, Annie challenges Dallas’s old-fashioned notions of what makes a lady. To his surprise, he finds her delightful, until he learns she has no interest in settling down. Dallas is ready to win her heart, but is Annie willing to fall in love? At the turn of the 20th century, Elli Korpela boarded The Baltic as a mail order bride. But the threat she thought she was escaping somehow followed her to America . 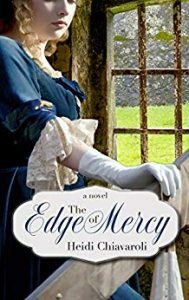 . .
Escaping a forced engagement, Elli sought refuge in an arranged, mail-order marriage. Her betrothed is a Texan named Nathan White. 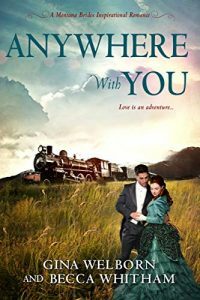 As she glimpses her future husband and his darling niece at the train station, she instantly knows her risk will prove the best decision she’s ever made. Nathan White never took an interest in marriage until he became the guardian of four-year-old Hannah. He’s arranged a mail order wife to love and care for his orphaned niece. But his mind changes when he first sees the beautiful Elli Korpela. 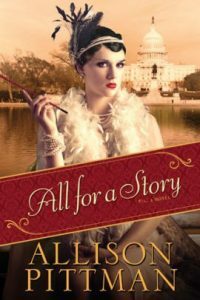 After a glorious wedding ceremony in the gardens of a place called Butterfly Palace—the grandest estate Elli’s ever seen—a peaceful beginning takes a disquieting turn. An intruder brutally attacks Elli. 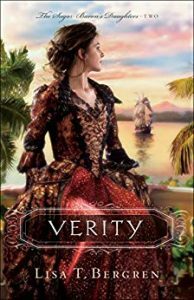 Nathan intervenes, but the devil escapes unidentified, leaving Elli to face two chilling possibilities: either the attack was arranged by strike workers in Nathan’s employ or her shadowy past followed her across the sea. As the danger mounts, Elli and Nathan must face their enemy together, fighting for their newfound marriage—and for their lives. A girl with the best of intentions. A heart set on Hollywood. An empty pocketbook. 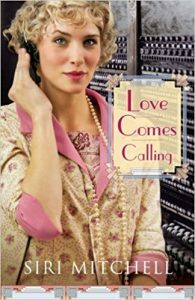 That’s all it takes for Ellis Eton to find herself working as a telephone operator for a look-alike friend. For Ellis, this job will provide not only acting practice but the funds to get her a start in the movies. She’s tired of always being a disappointment to her traditional Boston family, and though she can’t deny the way he makes her head spin, she knows she’s not good enough for Griffin Phillips, either. It’s simple: avoid Griff’s attentions, work, and get paid. But in typical Ellis fashion, her simple plan spirals out of control when she overhears a menacing phone call…with her very own Griff as the target. 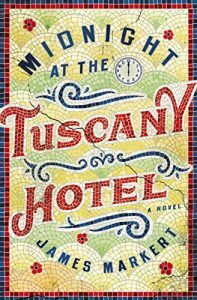 Thomas Watson left London two years ago and crossed the Atlantic to become a newspaper reporter in Philadelphia 1920s Philadelphia, a city that rivals Al Capone’s Chicago for its crime and corruption. Why would he go so far from family and friends? Admittedly, he was trying to get away – away from the shadow of his famous father, Dr. John Watson, and his father s even more famous friend, Sherlock Holmes. Shortly after Thomas leaves London, Sherlock dies, and Dr. Watson takes on the responsibility of caring for Sherlock’s older brother, Mycroft. After two short years in which Thomas finds little success in journalism, Dr. Watson dies suddenly; though Thomas stands to inherit his father’s estate, he is also saddled with the responsibility of Mycroft, who has mysteriously shown up in Philadelphia, ready to move in. 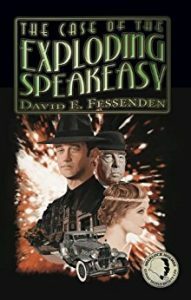 Puzzled by this strange turn of events, Thomas takes a walk and suddenly finds himself caught up in the biggest story of his career a suspicious explosion at a speakeasy, which kills the owner and his card-playing buddies. The principal suspect of the police is Basil Meridan, a former British butler whom Thomas befriends and Mycroft hires as a servant. Needled into making a bet with a rival reporter that he can solve the mystery, Thomas is immediately hampered in his investigation by his editor, who fires him for spending too much time on a dead-end story. As he attempts to recover from this setback, he is escorted against his will to a meeting with bootlegger Boo Boo Hoff and his goons. They also want to know who the killer is, and provide their own unique encouragement for Thomas to find the solution to the mystery. All this makes it necessary to for him to solve the mystery, or lose his money, his job, maybe even his life. From the scanty clues that Thomas compiles, Mycroft is able to solve the mystery, but he is tight-lipped about the solution after all, Thomas should be able to figure it out himself! But can Thomas discover the murderer before he becomes his next victim? Sometimes a secret must be kept for the truth to be revealed. When a suspicious accident occurs at the famous Dinsmore Chocolate Factory in Sinclair, Kansas, Caroline Lang goes undercover as a factory worker to investigate the circumstances surrounding the event and how the factory treats its youngest employees—the child workers. 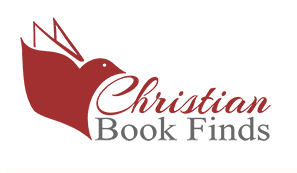 Caroline’s fervent faith, her difficult childhood, and compassionate heart drove her to her job as an investigator for the Labor Commission and she is compelled to see children freed from such heavy adult responsibilities, to allow them to pursue an education. Oliver Dinsmore, heir to the Dinsmore candy dynasty, has his own investigation to conduct. Posing as a common worker known as “Ollie Moore,” he aims to find out all he can about the family business before he takes over for his father. Caroline and Oliver become fast friends, but tension mounts when the two find themselves at odds about the roles of child workers. Hiding their identities becomes even more difficult when fate brings them together over three children in desperate need. When all is revealed, will the truth destroy the love starting to grow between them? She’s a sassy socialite burned by love. He’s a jaded cop burned by the upper class. When sparks fly . . . will love catch fire again? Spunky Allison McClare is determined to be a fearless, independent woman. But when she takes a notion to explore the wild Barbary Coast, she quickly discovers she’s no match for the unsavory characters that haunt the dark streets. Detective Nick Barone would rather do almost anything than teach this petite socialite self-defense, but it seems he has little choice. Sparks fly every time the two meet until a grudging friendship develops into something deeper. But is he just a fraud like all the rest of the men Allison’s cared for? Or is he the one who will let her dare to love again? 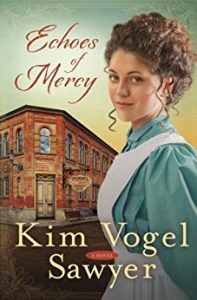 In this romantic 19th century-set short fiction follow-up to What Once Was Lost, while setting the stage for Sawyer’s next novel, Echoes of Mercy, a young woman must let go of past rejections to find hope in the meaningful future God wants for her. Daisy Forrester has been raised in Brambleville, Kansas at Dunnigan’s Orphan Asylum by Levi and Christina Jonnson. As she has watched younger, more appealing orphans come and go on to new families, Daisy has spent years becoming a valued helper for Ma and Pa Jonnson, as the orphans call them. However, she is coming up on her sixteenth birthday, and it will soon be time for her to make her own way in the world. 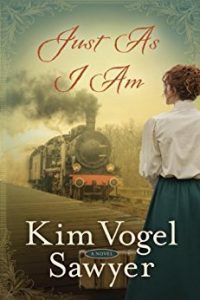 Nervous about leaving the farm, she turns to the one connection she has out in the world–Robby, a friend who left the asylum before her and is now employed in Sinclair, Kansas at Dinsmore’s World Famous Chocolate Factory. Daisy heads for the safe harbor that is his friendship, but the outside world doesn’t offer the friendly welcome that Daisy dreams of and Robby faces unique challenges of his own in the form of an eager co-worker bent on sending Daisy back to Brambleville. 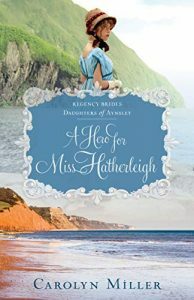 Can Daisy look beyond her own insecurities to embrace a young man with great affection for her, and a God who calls her ‘beloved’–just as she is? 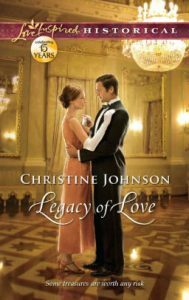 After finally finding love with his sweet bride Lonnie, Gideon’s heart was torn when a woman from his past claimed to be his true and rightful wife, forcing him away from his family. 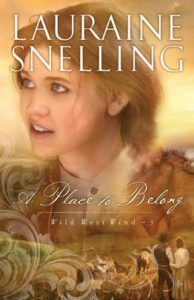 God’s merciful hand saw Gideon through the heartache, and with Cassie’s blessing, he is able to return home. But his journey back through the Blue Ridge Mountains will hold a trial he never anticipated. 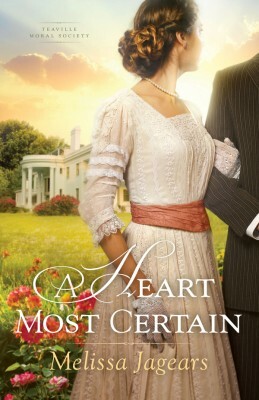 Meanwhile, Lonnie determines to seal off her heart from Gideon, convinced he is lost to her forever. 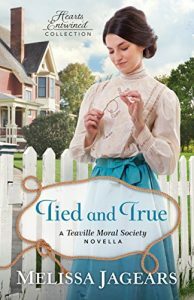 Strengthening her resolve to move on is her growing fondness for the handsome Scotsman, Toby McKee—the young reverend she has come to care for deeply. His proposal of marriage offers a bright future for her and her young son. 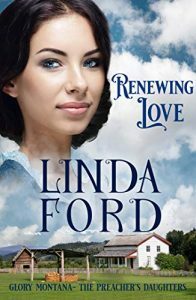 Yearning to allow joy back into her life, Lonnie must put aside the broken pieces of her heart that still love Gideon. 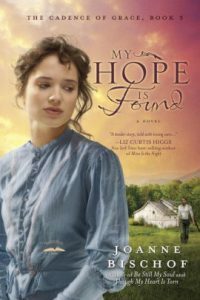 When he returns to find her betrothed to another, he has to place his hope in God, trusting that the One who redeemed their love once can do it again. 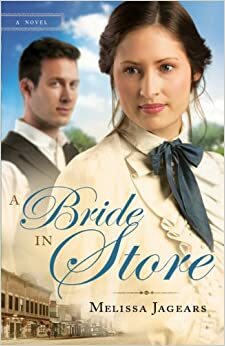 Sadie Sillsby works as the assistant to the matron at the Raystown Home for Orphan and Friendless Children and dreams of the day she’ll marry her beau, Blaine. 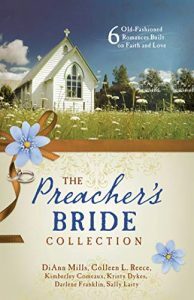 But when the matron surprises everyone by announcing her own engagement, Sadie is suddenly next in line for the job. For a young woman who was once an orphan herself, a shot at such an esteemed position is a wish come true. But the matron of the Home cannot be married. Is Sadie willing to give up her dreams of a life with Blaine and a family of her own? Is she prepared to forgo daily involvement with the children as she instead manages the financial, legal, and logistical aspects of the orphanage? 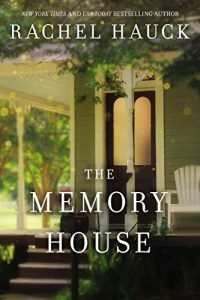 And when it’s revealed that the Home is spending a lot more money than it’s taking in, can Sadie turn things around before the place is forced to close forever? 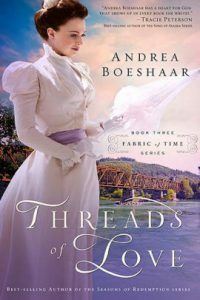 Annemarie Kendall is overjoyed when the armistice is signed and the Great War comes to an end. Her fiancé, Lieutenant Gilbert Ballard, is coming home, and though he is wounded, she is excited to start their life together. But when he arrives, her dreams are dashed when she learns Gilbert is suffering from headaches, depression, and an addiction to pain killers. This is not the man she had planned to marry. After serving in the trenches, Army Chaplain Samuel Vickary is barely holding onto his faith. 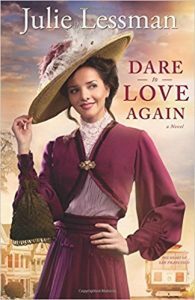 Putting up a brave front as he ministers to the injured soldiers at the hospital in Hot Springs, Arkansas, he befriends Gilbert and eventually falls for Annemarie. While Annemarie tries to sort out her confused feelings about the two men in her life, she witnesses firsthand the bitterness and hurt they both hold within. Who will she choose? Will she have the courage to follow her heart and become the woman God intended her to be? As the world emerges from the shadow of war, Annemarie clings to her faith as she wonders if her future holds the hope, happiness, and love for which she so desperately longs. 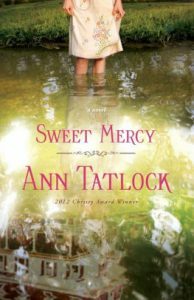 Lilly Corbett Still has grown to love her life as the small-town doctor of Skip Rock, a tiny coal community in the Kentucky mountains. Though her husband, Tern, is away for a few months at a mining job, Lilly has her hands full with her patients and her younger sister visiting for the summer. Lilly turns to her good friend and neighbor, Armina, to help keep things in order—until a mysterious chain of events leaves Armina bedridden and an abandoned baby on her doorstep. Lilly works to uncover the truth, unaware of what a mess she’s found herself in until a break-in at her clinic puts her on high alert. As she struggles between what is right and what is safe, Lilly must discover the strength of her resilient country neighbors, her God, and herself. Ana Kavanagh’s only memories of home are of fire and pain. As a girl she was the only survivor of a terrible blaze, and years later she still struggles with her anger at God for letting it happen. At a nearby parish she meets and finds a kindred spirit in Eoghan Hamilton, who is struggling with his own anger–his sister, Cara, betrayed him by falling in love with one of his enemies. Cast aside by everyone, Eoghan longs to rejoin the Fenians, a shadowy organization pushing for change back in Ireland. But gaining their trust requires doing some favors–all of which seem to lead back to Ana. Who is she and who is searching for her? As dark secrets from Ana’s past begin to come to light, Eoghan must choose which road to follow–and where to finally place his trust. 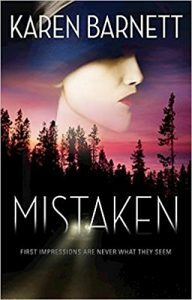 Since booze and prohibition have made criminals out of every man in her world, Laurie Burke resolves to find at least one honorable man to fill her life. Convinced that handsome newcomer Daniel Shepherd is connected with her brother’s rum-running gang, Laurie quickly scratches his name off her list. Daniel has mixed feelings about returning to the dirty mill town of his youth, but grudgingly agrees to manage his grandfather’s drug store until a replacement can be found. 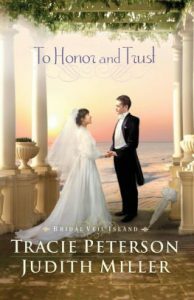 The moment he meets Laurie on the windswept bluff overlooking the beach, he knows that if he can earn her love, he might have a reason to stay. 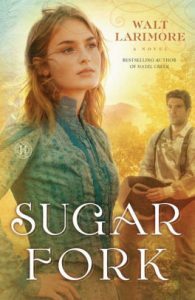 But when Laurie pushes him away–for none other than Federal Agent Samuel Brown–Daniel wonders if Laurie really is the upstanding woman he thought her to be. The Strait of Juan de Fuca, just off the beaches of Port Angeles, Washington, was treacherous water for reckless rum-runners—and the agents who tried to catch them. So when she realizes her brother is in danger, romance is the last thing on Laurie’s mind. Yet the people she believes she can trust, may not be so honorable after all. Grace McCaffery hopes that the bustling streets of New York hold all the promise that the lush hills of Ireland did not. 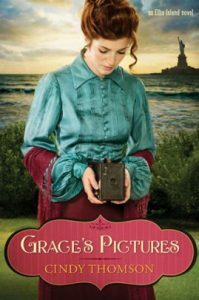 As her efforts to earn enough money to bring her mother to America fail, she wonders if her new Brownie camera could be the answer. But a casual stroll through a beautiful New York City park turns into a hostile run-in with local gangsters, who are convinced her camera holds the first and only photos of their elusive leader. 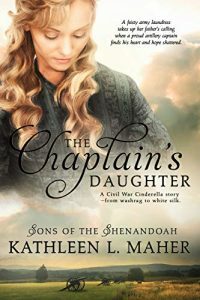 A policeman with a personal commitment to help those less fortunate finds Grace attractive and longs to help her, but Grace believes such men cannot be trusted. 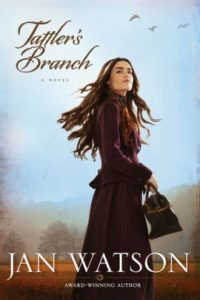 Spread thin between her quest to rescue her mother, do well in a new nanny job, and avoid the gang intent on intimidating her, Grace must put her faith in unlikely sources to learn the true meaning of courage and forgiveness. 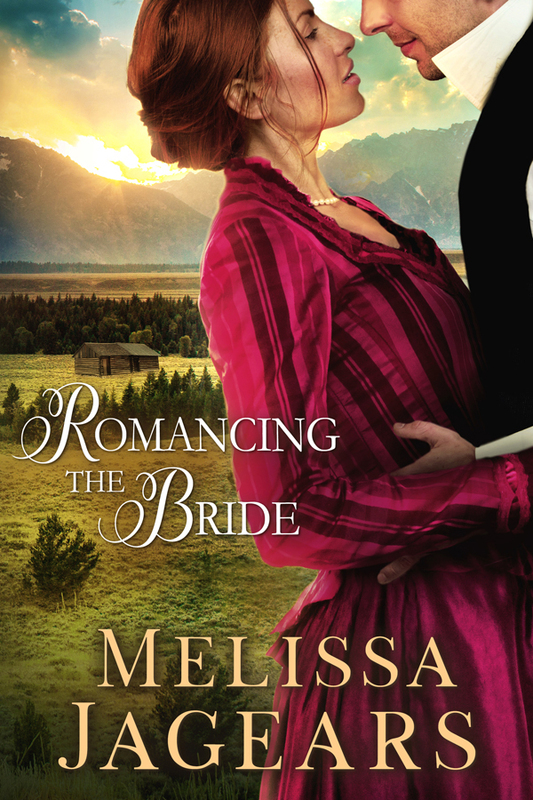 Emily Sundberg has her life all planned—a respectable job as a teacher and a suitable husband. But does God have a better plan for her? 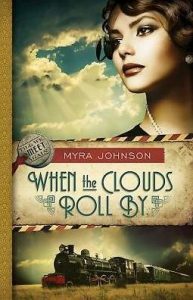 When Eve Marryat’s father is laid off from the Ford Motor Company in 1931, he is forced to support his family by leaving St. Paul, Minnesota, and moving back to his Ohio roots. Eve’s uncle Cyrus has invited the family to live and work at his Marryat Island Ballroom and Lodge. St. Paul seemed like a haven for gangsters, and Eve had grown fearful of living there. At seventeen, she considers her family to be “good people.” They aren’t lawbreakers and criminals like so many people in her old neighborhood. Thrilled to be moving to a “safe haven,” Eve is blissfully unaware that her uncle’s lodge is a transfer station for illegal liquor smuggled from Canada. Eve settles in to work and makes new friends, including an enigmatic but affecting young man. But when the reality of her situation finally becomes clear, Eve is faced with a dilemma. How can she ignore what is happening right under their very noses? Yet can she risk everything by condemning the man whose love and generosity is keeping her and her family from ruin? Jilted by a fortune hunter, cowgirl Cassidy McClare is a spunky Texas oil heiress without a fortune who would just as soon hogtie a man as look at him. 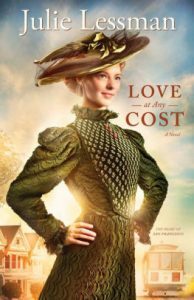 Hoping a summer visit with her wealthy cousins in San Francisco will help her forget her heartache, Cassidy travels west. 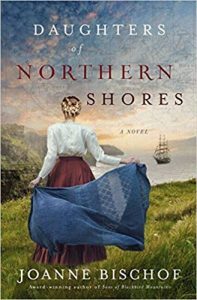 But no sooner is she settled in beautiful California than Jamie McKenna, a handsome pauper looking to marry well, captures her heart. 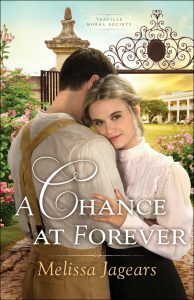 When Jamie discovers the woman he loves is poorer than he is, Cassidy finds herself bucked by love a second time. Will Jamie discover that money can’t buy love after all? And can Cassidy ever learn to fully trust her heart to a man? 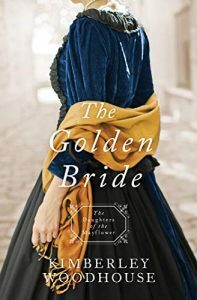 With delectable descriptions and a romantic sensibility, bestselling author Julie Lessman brings the Gilded Age to life in this sumptuous new series. Readers will faithfully follow Lessman to the West Coast for more romance, passion, and surprising revelations found in Love at Any Cost. 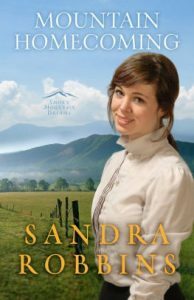 In the second book in the Smoky Mountain Dreams series, acclaimed author Sandra Robbins spins a tender tale of God’s faithfulness throughout the generations. Rani Martin, Simon and Anna’s only daughter, is a beautiful and spirited young woman living deep in the heart of the Smoky Mountains. She has plenty of ideas about the man she’ll marry someday, but none of them could have prepared her for the return of Matthew Jackson. Matthew left Cades Cove as a child after his father’s death. Now he’s come back to build a new life for himself, and it’s his dearest wish that Rani be a part of that life. But the people of the Cove won’t let him forget the sins of his father, and Matthew can’t forget the darkness of his own past. Is there a place for Matthew in the Cove? And can the light of Rani’s love overcome his pain? Lucy Kendall always assumed she’d help her father in his candy-making business, creating recipes and aiding him in their shared passion. 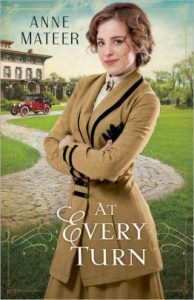 But after a year traveling in Europe, Lucy returns to 1910 St. Louis to find her father unwell and her mother planning to sell the struggling candy company. Determined to help, Lucy vows to create a candy that will reverse their fortunes. St. Louis newcomer Charlie Clarke is determined to help his father dominate the nation’s candy industry. Compromise is not an option when the prize is a father’s approval, and falling in love with a business rival is a recipe for disaster when only one company can win. Will these two star-crossed lovers let a competition that turns less than friendly sour their dreams? Callie DeBoyer is unsettled as she arrives at Bridal Veil Island with the Bridgeport family. She’s just received a letter from her parents, missionaries in coastal Africa, stating they are in dire need of more personnel. Should Callie give up her governess job and join her parents in their important work? Is God calling her to the mission field, or does she just want to escape the emotional scars of being jilted by her former beau? When she enrolls young Thomas Bridgeport in golf lessons, Callie meets Wesley Townsend, who urges Callie to take lessons, as well. During their time at the golf course, Callie comes to care for Wesley–until she discovers hidden secrets about his past. Then expensive jewels go missing from various homes on the island, and suspicion is aimed in Callie’s direction. As the investigation continues, Callie wonders if she should escape it all by going to Africa. After the secrets he kept about his past, will Wesley ever be a man she can honor and trust for the rest of her life? She dreamed of digging through ancient ruins—but the only exploring Anna Simmons gets to do is in the expensive houses she cleans in Pearlman, Michigan. When Brandon Landers hires her, she’s unsure whether to be furious or thrilled. He evicted Anna and her ailing mother, but she’s heard rumors of hidden treasure on his land. Treasure Anna decides to find. Not just for herself, but for her new employer whose unexpected kindness has softened her heart. 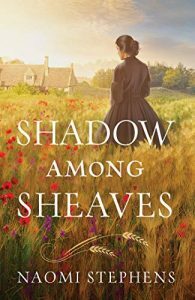 Physically and spiritually wounded in the Great War, Brandon knows not to hope for the impossible—like buried riches or Anna’s love. Is there still time for them to learn that the only treasure they need is a lifetime together? 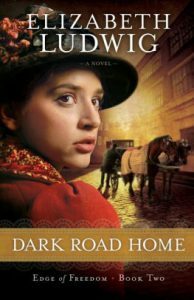 In 1916, Southern belle Alanna Lessing travels to Montana on a mission—to rescue her older sister from the influence of suffragettes and bring her back home to Savannah where she belongs. 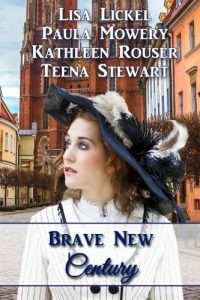 Alanna fears that her sister, Margaret, has allowed herself to be swept away by these newfangled beliefs. The Christmas season is drawing near, and sleigh bells are ringing among the snow-covered peaks. The charming town of Missoula begins to grow on Alanna, and so do a few of its inhabitants—particularly neighboring rancher Tanner Jacobs. Alanna takes it upon herself to turn Tanner into a true Southern gentleman. He plays along, in part because he likes being near her, and in part because he’s intrigued by her very different way of life. Will their differences bind their hearts, or forever keep them apart? 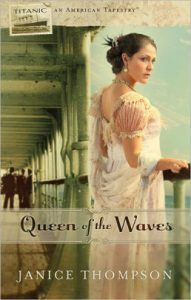 When pampered Jacqueline Abington secretly elopes with the family gardener, she asks another woman to take her place on the much anticipated maiden voyage of the Titanic. Tessa Bowen hails from a poor corner of London but has been granted the opportunity of a lifetime—a ticket to sail to America aboard a famed vessel. But there’s a catch: she must assume Jacqueline’s identity. For the first time in her life, Tessa stays in luxurious quarters, dresses in elegant gowns, and dines with prestigious people. 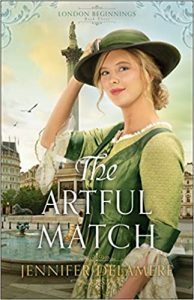 Then a wealthy American man takes an interest in her, and Tessa struggles to keep up the ruse as she begins falling for him. When tragedy strikes, the game is up, and two women’s lives are forever changed. In this sequel to Hazel Creek from award-winning author Walt Larimore, a loving rural family struggles to survive tragedy and cope with the invasion of modern ways in the 1920s. 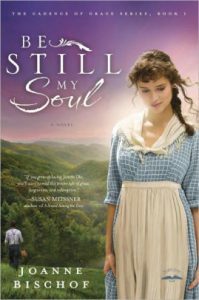 In the Great Smoky Mountains wilderness in 1926, Nate Randolph and his five daughters struggle to maintain their farm, forests, family, and faith after the death of his wife, Callie. To make matters worse, they are battling a menacing business and an evil company manager trying to pilfer their land and raze their forest. 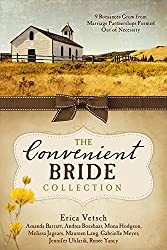 Sixteen-year-old Abbie Randolph falls in love for the first time while trying to mother her sisters and work with her father to save their family farm. At the same time, she has to preserve her own faith, which wavers after the death of her mother and the senseless murder of her fiance. Will the family survive intact? Will the farm be saved? Only a miracle could make it happen. Night’s chill tickled her skin. Lonnie pressed her hands together and glanced up. He was even more handsome up close. Having grown up the shy, awkward daughter of Joel Sawyer, she’d hardly spoken to any boy, let alone the one who had mothers whispering warnings in their daughter’s ears and fathers loading shotguns. 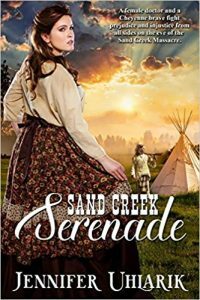 Pretty Lonnie Sawyer is shy and innocent, used to fading into the background within her family, and among the creeks and hollows of the Appalachian hills. Though her family is poor and her father abusive, she clings to a quiet faith. 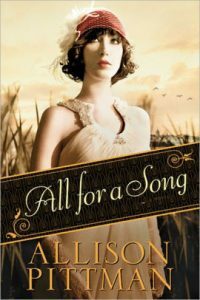 But when handsome ladies’ man and bluegrass musician Gideon O’Riley steals a kiss, that one action seals her fate. 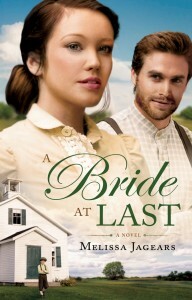 Her father forces her into a hasty marriage with Gideon—a man she barely knows and does not love. Equally frustrated and confused by his new responsibilities, Gideon yearns for a fresh start, forcing Lonnie on an arduous journey away from her home in Rocky Knob. 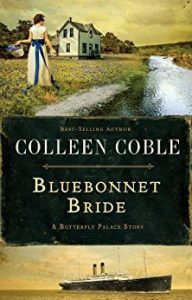 Her distant groom can’t seem to surrender his rage at the injustice of the forced matrimony or give Lonnie any claim in his life. 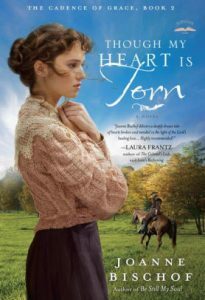 What will it take for Gideon to give up his past, embrace Lonnie’s God, and discover a hope that can heal their two fractured hearts? Gideon only ever cared about himself. Now that Lonnie is his wife, will he ever be worthy of her heart? 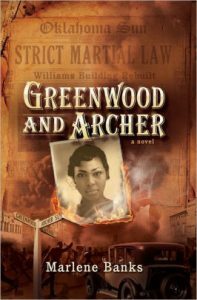 Greenwood and Archer: After the Riot continues the stories of Billy Ray Matthias and Benny Freeman and the residents of the Greenwood District after the historical Tulsa Race Riots of 1921. 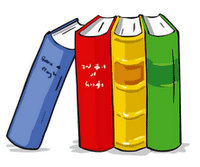 Though a sequel to Son of a Preacherman, Greenwood and Archer can be read as a stand alone book. The White Glove Society has all but destroyed the Greenwood District, home to the affluent blacks in Tulsa. Now those who have survived are trying to recover what is left including Billy Ray Matthias and Benny Freeman. Billy Ray and Benny are engaged but Benny is hesitant to set a date. Jordan Franks, Benny’s ex-fiancee shows up in Tulsa and Benny is confronted with the memories and emotions of the crippling break up she experienced with Jordan. 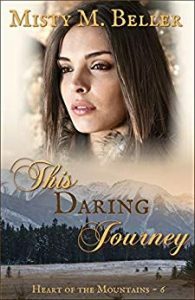 She must decide whether she will stand and face her past or allow it to drive her back into the dark place she’d grown used to before meeting Billy Ray. Billy Ray’s attempts to keep Benny from running away are challenged by his own struggles as he wrestles with God’s call on his life to preach. DP Dooley, plagued by a past that prompted him to turn from God and become a government agent, is in a turmoil as he wars against enemies seen and unseen. Internally, he fights against the darkness of his soul as the anger and resentment he has harbored against God for most of his life wears him down. Externally, he continues to fight against the threats of the bigoted White Gloves Society, which is growing and trying to increase its racist activities. The once hard-edged racial views of Chief Tobias Parnell have noticeably dulled and he no longer enjoys the favor of the White Glove Society. Teaming up with Dooley, Chief Parnell fights against illegal racketeering, bootlegging and racial crimes. A new brotherhood forms in Tulsa, the interdenominational Christian clergyman (ICCA). Braving the social struggles of Tulsa, five clergymen attempt to and bring together God’s people, regardless of race, economic status, gender, ethnicity and even doctrine. Their goal, along with the people of Greenwood is to see a new Tulsa rise from the ashes. 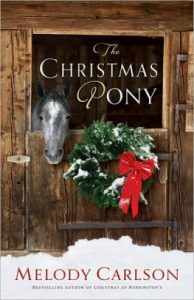 Eight-year-old Lucy Turnbull knew better than to wish for a pony that Christmas in 1937. Her mother had assured her in no uncertain terms that asking for a pony was the same as asking for the moon. Besides, the only extra mouths they needed at their boarding house were the paying kind. 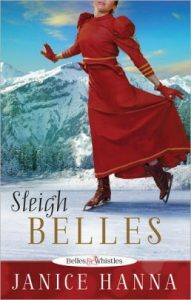 But when an interesting pair of strangers comes to town, Lucy starts to believe her Christmas wishes might just come true after all. Caught up in a whirlwind of religious fervor when two missionaries speak at her church, Alyce Benson impetuously pledges three thousand dollars to mission work in Africa. 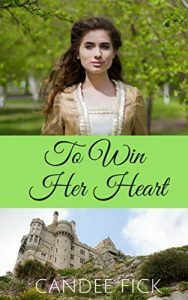 She’s certain her wealthy father will simply hand her the money. But when he refuses, she must either stand up in front of the congregation and admit failure, or raise the money herself. Alyce harbors a secret passion for speed and automobiles. It’s 1916, and the latest advancements in car engines allow some to post speeds upwards of seventy miles per hour! When she discovers her father’s company has sponsored a racing car that will compete in several upcoming events–races in which the driver will be paid and could win as much as five thousand dollars in prize money–she conspires with her father’s mechanic, Webster, to secretly train and compete. But as Alyce comes across needs in her own community, money slips through her fingers faster than she can earn it. And when her friends cast aspersions on Webster’s past, she believes she might have trusted the wrong man with her secret. 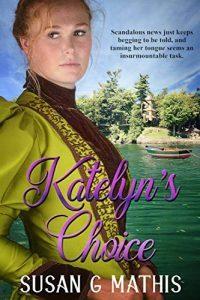 Will Alyce come up with the money in time, or will she have to choose between her promise and the man who holds a piece of her heart?